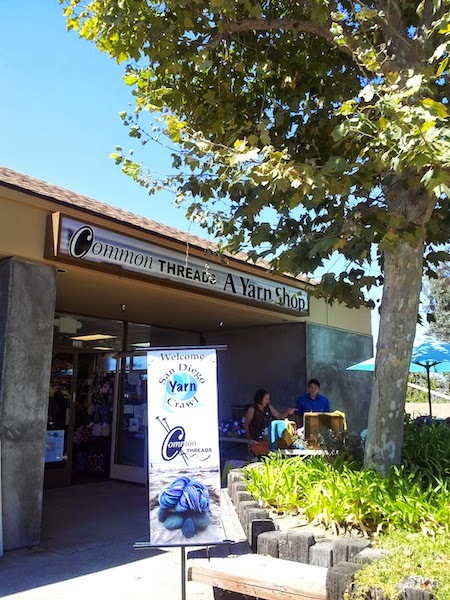 Last weekend I finally had a perfect excuse to visit all the yarn shops in San Diego county - Yarn Crawl. 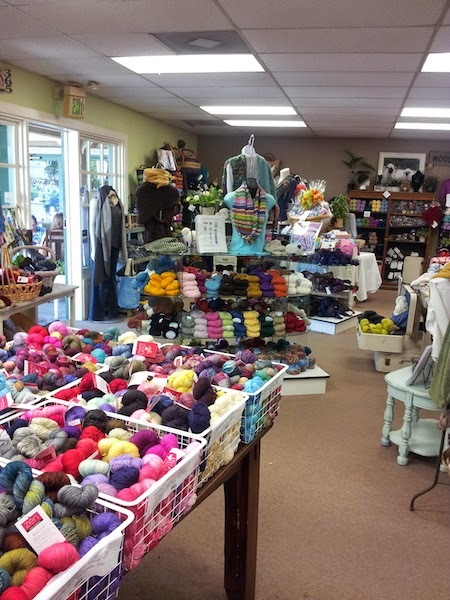 This is self-guided tour of 9 SD yarn stores, two alpaca farms and one Yarn Truck. 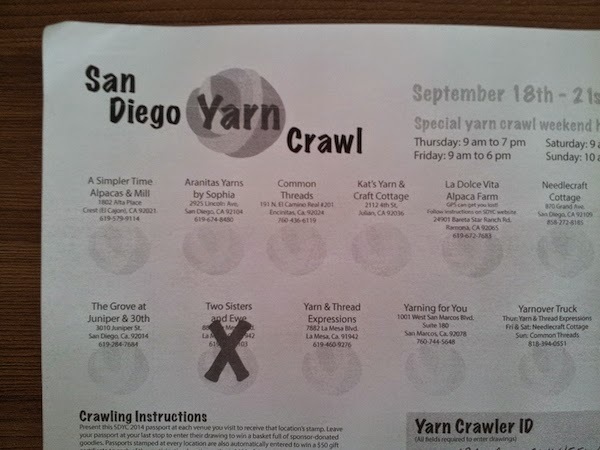 Between Pub Crawl and Yarn Crawl I will definitely choose the last one). 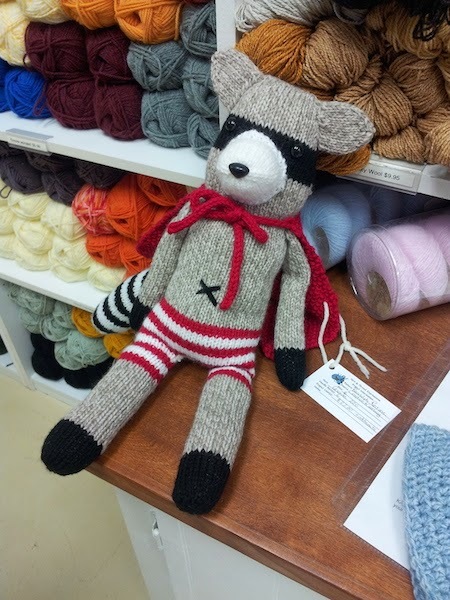 I'm a yarn junkie, what can I do? 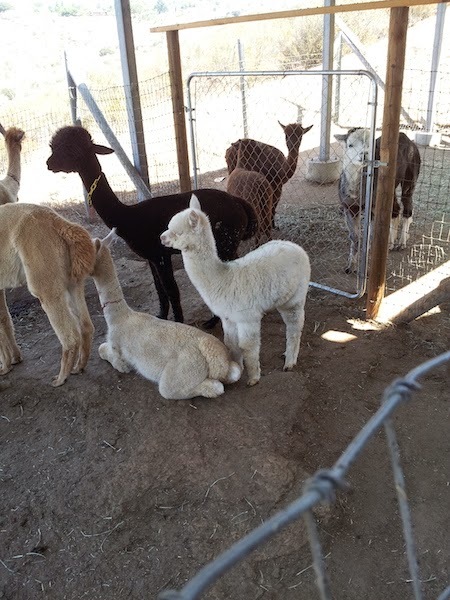 I printed out my passport and we drove to our first destination: the Simpler Times Alpaca Farm&Mill. 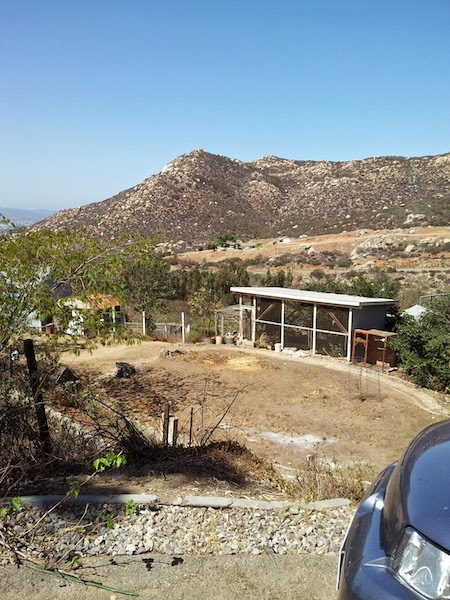 Last mile to this farm was kind of scary. 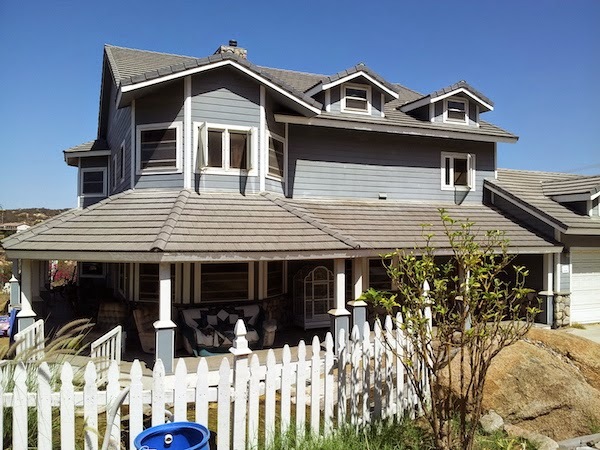 Really winding and narrow. 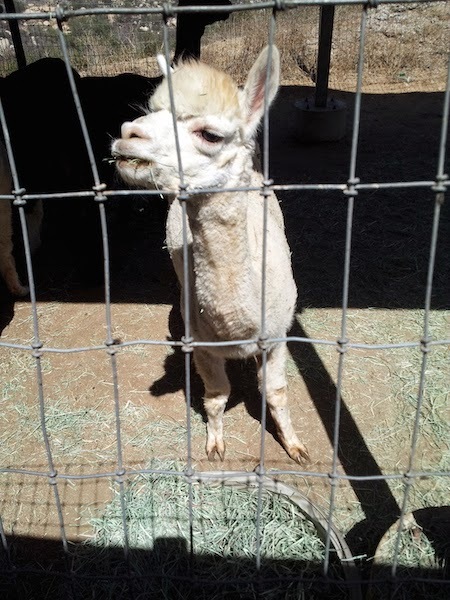 But alpacas are so cute! They mooing and humming all the time rather tender. I didn't know that they being sheared only once a year, around springtime and all animals in on day! 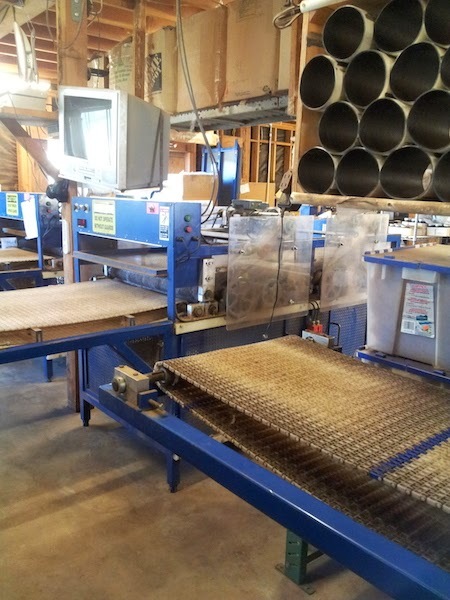 It should be very busy day, I suppose). 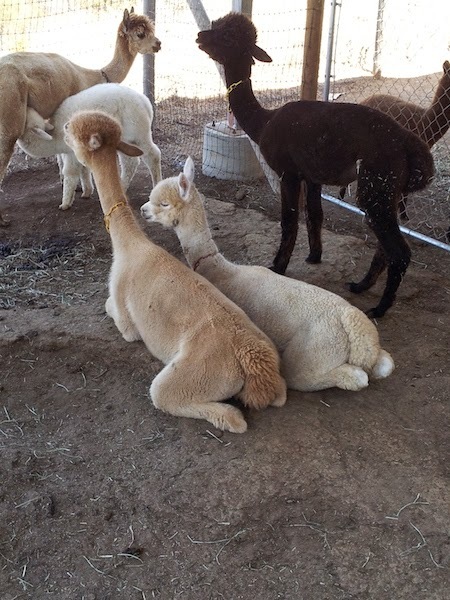 The softest hair grows on alpaca's backs and shoulders called blanket and roughest one on legs and neck. There is always room for self-education! 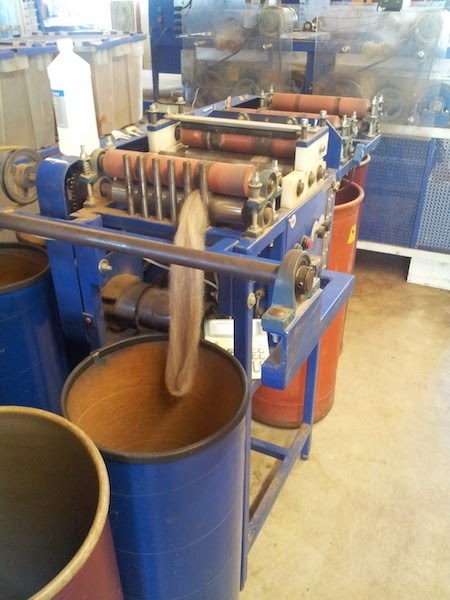 Owner was kind enough to give us a tour and show her small yarn manufacture. 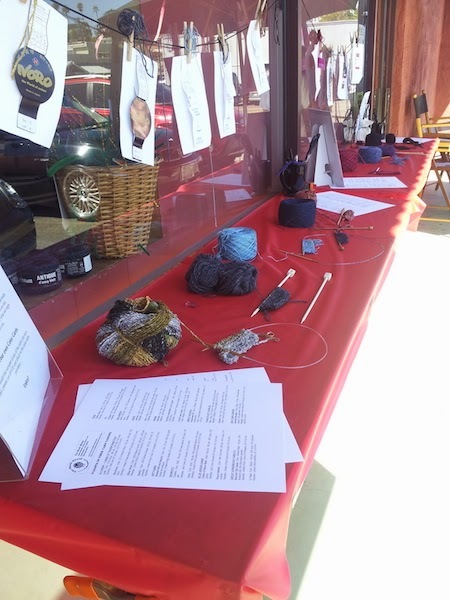 Then we went to La Mesa's Yarn&Thread Expressions. 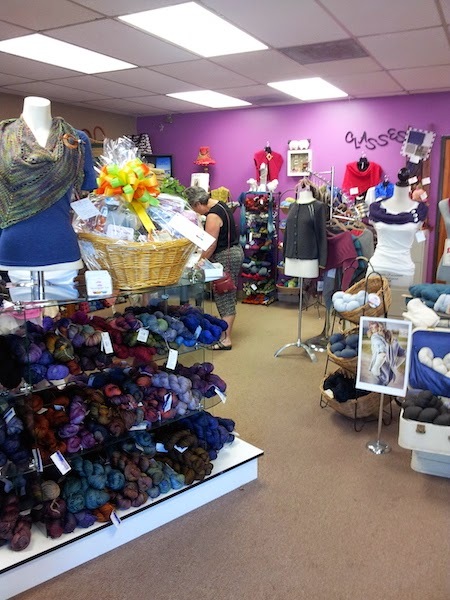 Shop was crowded with happy yarn lovers and their patient spouses. 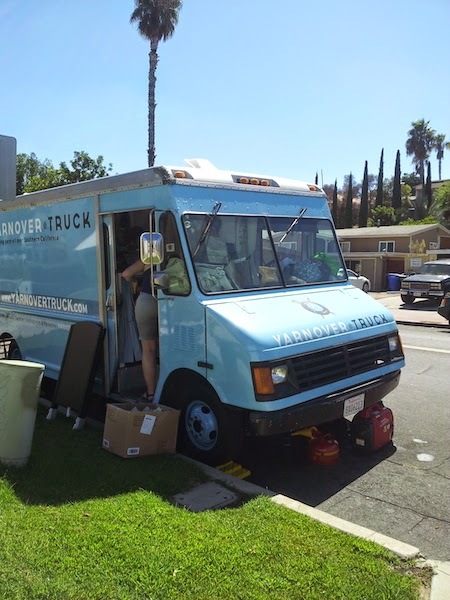 That day nearby Yarn&Thread Expressions another Crawl attraction was parked – Yarnover Truck. 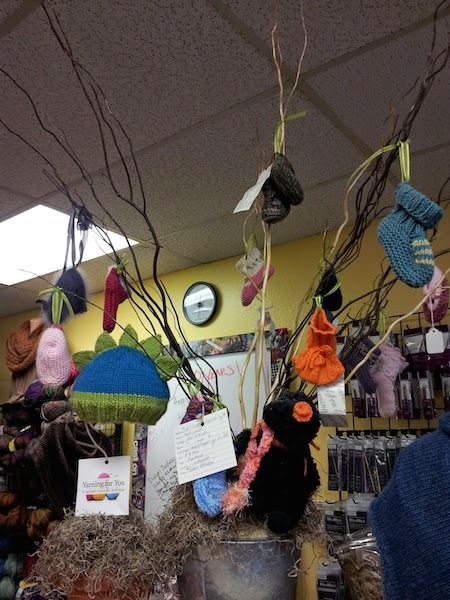 Just like food truck, but with yarn! 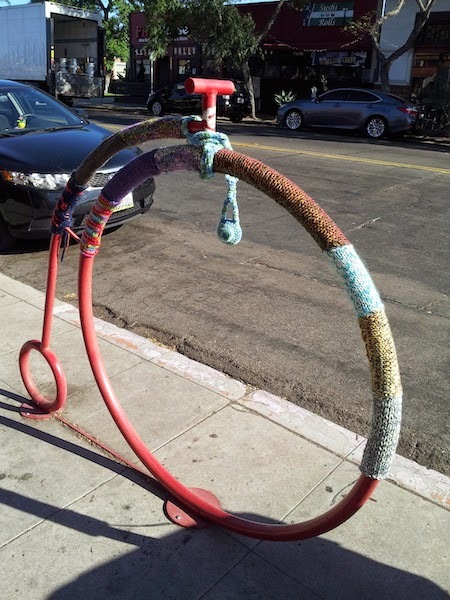 This is great idea, but yarn selection is quite narrow, so I stamped my passport and moved on. 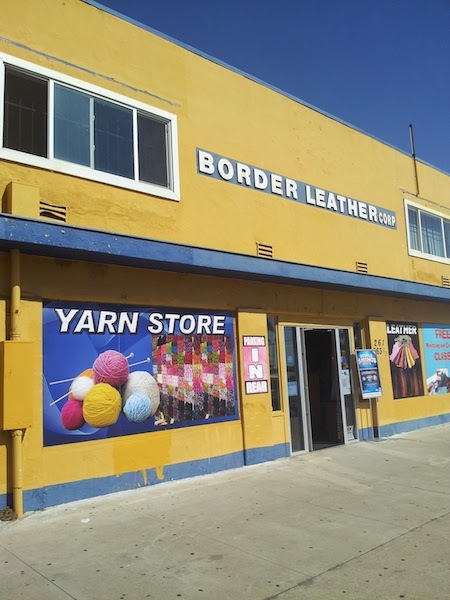 Next destination – located in Chula Vista Yarn Store at Border Leathers. 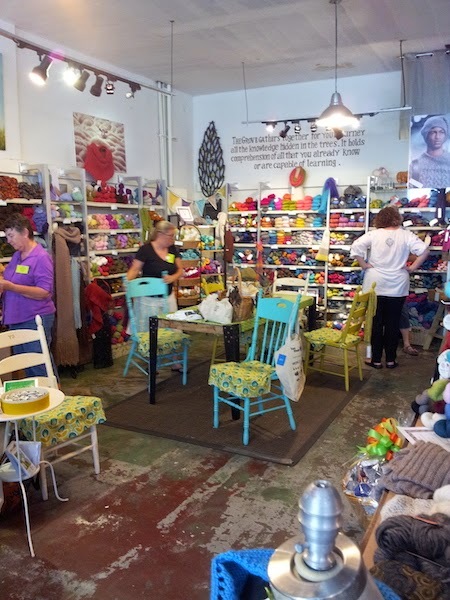 I do like them - a lot of yarn, a lot of leather and great customer service. And they had some food and cold drinks which was very thoughtful. We had lunch in some Los Pollos Hermanos twin and hit the road. 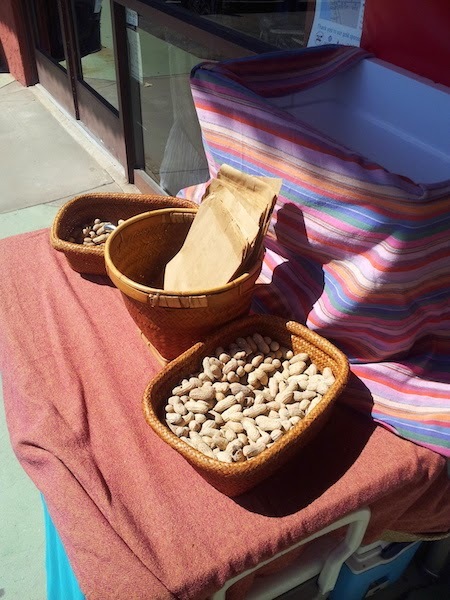 San Diego has it's own South Park, where The Groove located – emporium for souvenirs, gifts, needlecraft, cookware and kitchen tools. 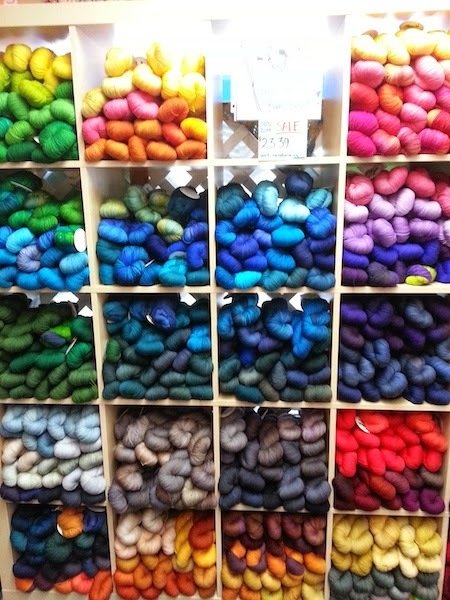 They have just a humble yarn corner, but selection is good. I found Spud&Chloe yarn, which I wanted to try for some time. 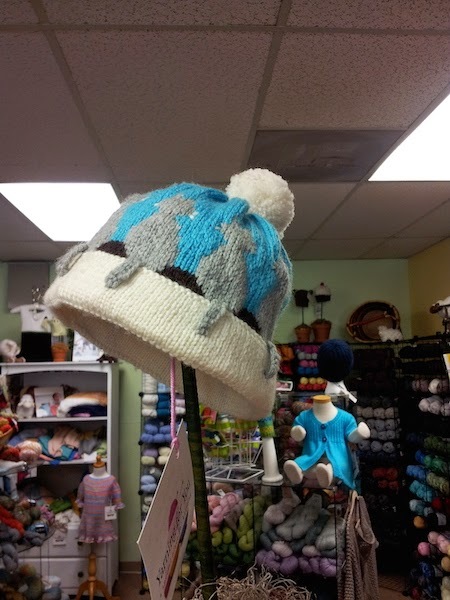 In Needlecraft Cottage I saw the most beautiful yarn, called "Baah yarn". 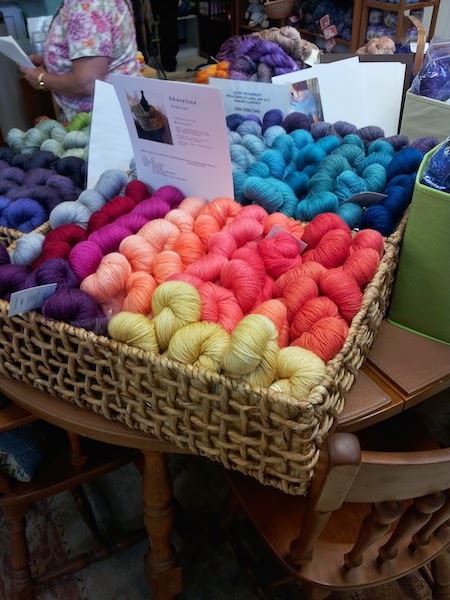 It is a hand dyed yarn designed by local artist, who used to work in my favorite LYS. I couldn't leave without a skein of La Jolla. At the end of the day I got really overwhelmed and tired, but very happy. 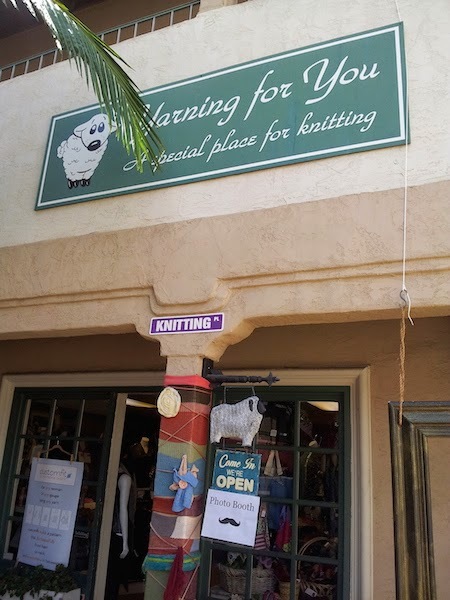 At friday first of all we went to Yarning for You - my favorite LYS with great selection of yarn and notions, but above all - with greatest people working there. I love them. Then was a recently moved Common Thread, which owner graduated from famous Parsons New School for Design and beside running the store she's teaching fashion design in college. Store is so big that they're providing customers with a map! 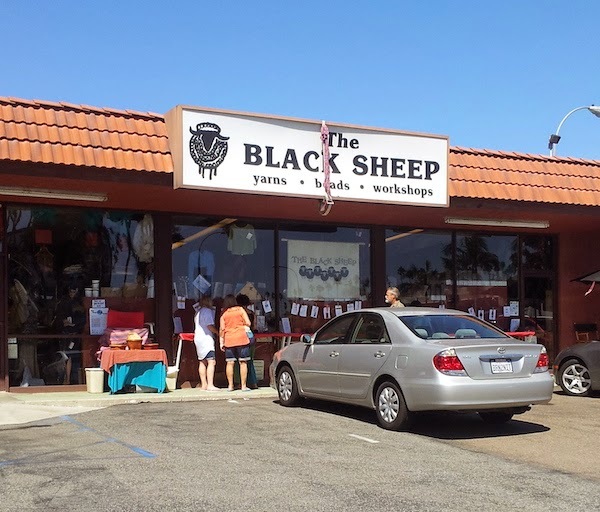 The last destination is The Black Sheep, located in beautiful downtown Encinitas and it's in business for over 30 years. 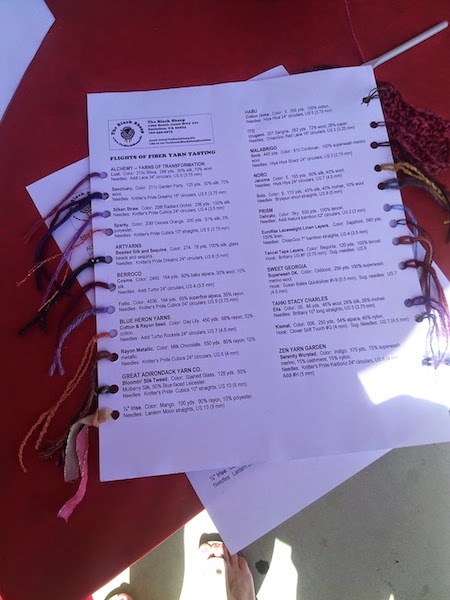 I really like their idea of yarn testing, when you can try different yarn and needles and make your own card.